NYC Smile Design - BLOG - Buyer Beware: Having Dental Work from Outside the US? Think again! Over the last five years the numbers of dental patients seeking treatment from outside the country have surged. Popular destinations include (but are not limited to) Mexico, Hungary, India, and Thailand. Before the economic decline of 2008 and its negative effect on dental insurance coverage, dental tourism was barely a fraction of medical tourism in general. The common trend then was for Americans travelling abroad to get their cosmetic surgeries en route. Today, the trend has changed: more people are travelling abroad for their vacations and simultaneously seeking low-cost dental work. At the bottom line: remember that any kind of dental work is an investment in yourself. Like any other investment, in the long run there will be a return on your investment as your smile is enhanced, and your oral health is maintained. The high-quality care that is guaranteed in the United States does not necessarily translate to the rest of the world; the standard of care that is mandated here by laws and regulations might not be the same in other countries. 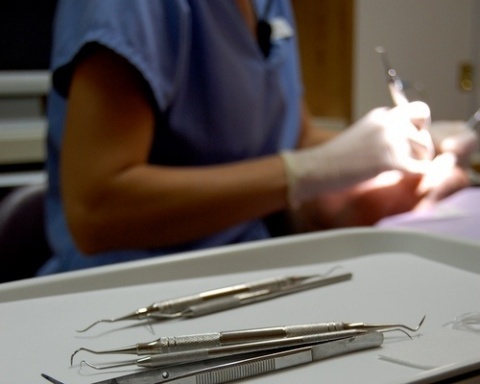 Getting your dental work done outside the US might be cheaper, but it is also risky. Besides having no guarantees to monitor care and treatment, the materials used are, in most cases, of lower quality that those in the US. There is also the issue of post-treatment care. In some cases, when you have substantial work, like a full-mouth reconstruction, you will need several post-treatment appointments to assure that everything is healing and fitting properly. And complex procedures are simply too risky to attempt outside a country where the quality of care is generally high. For example: dental implant procedures require long periods of recuperation, with regular check-ups to assure proper healing. In this case, the frequent traveling costs might not be worth the lower cost of the procedures. Additional procedures that are not cost-effective when done abroad include orthodontics. With any orthodontic appliance that you use, whether it's clear aligners or metal/ceramic braces, you will need to have frequent adjustments. In this case, it's much more cost-effective (and safer) to stick with your local dentist. At the end of the day, you get what you pay for. Cosmetic dentistry is a highly sophisticated art. And as we have mentioned in our previous blogs, not every dentist is a cosmetic dentist. Smile design is truly an art form that combines a perfect balance of facial asymmetry, gingival (gum) esthetics, microesthetics and macroesthetics. Thus, it is best to do very thorough research into what kind of results you'll get by choosing to have your dental work done outside of the country. And to find your own perfect balance between allocating your costs to the best results or to traveling abroad and taking your chances.